The most expensive in a lot of markets, second most expensive in some markets. If your looking to drive in style with a lot of space to boot, then look no further than Uber SUV. It doesn’t get much more expensive than this on the Uber platform, but you’ll have plenty of happy customers if they decide to go with this style car service. This page will be dedicated to showing you what the Uber SUV car requirements are to qualify to drive. Uber SUV is similar to Uber Black, except for the fact that this is a luxury SUV allowing for more space for the passengers. As a passenger, you’ll be getting picked up from anything between an Escalade to a Mercedes-Benz. It’s always good to treat yourself to a nice ride every once in awhile. So, try out the service one of these times as a customer and see how you like the ride. Each Uber service has a different set of car requirements. Just like Uber Black, Uber SUV has similar requirements. But, I’ll just explain them below. In order to create a luxurious atmosphere for the customer you have to create higher standards for the vehicles. Below is a list of eligible vehicles, though it can vary city to city. So there you have it. Those are the car requirements for being an Uber SUV driver. More space in your car for bigger fares while you drive. 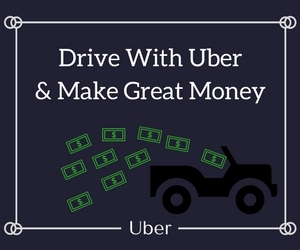 Click on the link to learn how to sign up for Uber in 3 simple steps. If you have any questions leave a comment below. Check out the Uber Lux car requirements next!